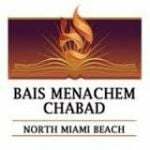 Bais Menachem of NMB is more the just a Shul; it is a community center; a place everyone, young and old, man, woman, or child, can have a place to let his/her Yiddishkeitcome alive. We are a non-profit running strictly off donations. As our Chabad community has grown and continues to grow, we have moved from 1 small house to a 25,000 square foot building. In our building we host a series of functions: Daily Minyanim, Bais Midrash, Mikvah, daily and weekly Shiurim, Youth programs, Womens events, Social events, Farbrengens and much more. We encourage everyone to feel involved and to participate in all activities as a community. Our Rabbi & Rebbitzin are now on their 22nd year here in the community. They have helped build and form this community into who we are today. With their knowledge and guidence they continue to serve all within our community. Our Rabbi's door is always open for questions and disccusions. Together, they have meticulously laid each stone to build who we are today. Rabbi & Mrs. Laufer joined Bais Menachem in 2017. With the growth of the community there was a need for another couple. They help arrange programs, events, Shiurim, Yom Tov programs, youth programs and more. Norma helps run our office in the most efficient way. She is here to answer any questions you may have.